For the article encompassing all inserter types, see Inserters. The inserter can be used to transfer items between entities such as transport belts and stone furnaces. It is the most basic electric inserter. Unlike the fast inserter, the inserter is not fast enough to pick up items moving on express transport belts, unless it is highly compressed or items have stopped due to a blockage. Additionally, the basic inserter is unable to access items on the far side of a curving transport belt. The inserter is notable in that it is used in the creation of science pack 2, so players must create an automated inserter assembly line. The basic inserter is also used in the creation of both the fast inserter and the long inserter, and serves as the base item for all electric inserters. For more information on mechanics and uses see inserters. Inserters connected to the circuit network now have the option to only read hand contents. Inserters can now send the item held in hand to the circuit network. Inserters are able to squeeze things slightly better to belts. more resources. All types of inserters can be controlled by the circuit and logistic network, once the respective network is researched. Inserter stack size bonus research is now only used for stack inserters. Inserters will never take more than the max stack size of an item. Inserters now correctly pick up items from splitters. Inserters can now extract from Roboports and Beacons. Inserters now take items from right behind them, not from the center of the pickup target entity. Inserters can have arbitrary pickup and insert positions. Inserter code optimization, inserters that have nothing to do will sleep. Improved inserter's ability to pull from train wagons. Fast inserter now has the same speed as the smart inserter. Inserter can now pick up up to 5 items when researched. 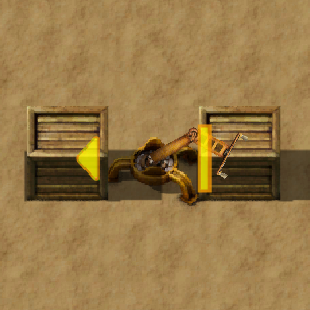 The item in the hand of the inserter is returned to the player when mined. This page was last edited on 6 April 2019, at 18:14.